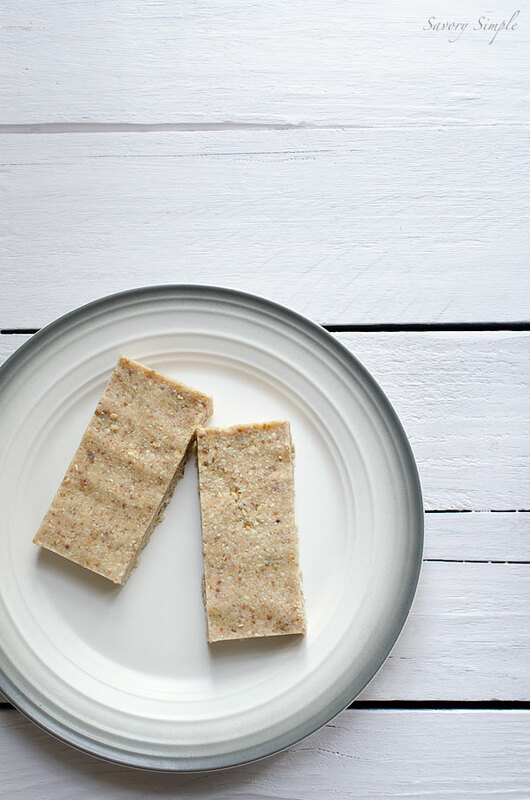 These no-bake pineapple coconut bars are gluten-free, grain-free, dairy-free and paleo! Not to mention they have one of my favorite all time flavor combos so you’d never even know. Now I want to use the combination in everything- smoothies, desserts, breakfasts, etc. I used the combo to adapt my No Bake Toasted Coconut Bars recipe (there are step-by-step photos at the link). Not to toot my own horn but these are really delicious (and healthy). The recipe uses a specialty ingredient which you can recreate at home if you’re unable to locate it; freeze-dried pineapple. I found it at Whole Foods. You might be able to use regular store-bought dried pineapple but I like this stuff because it’s crunchy and it blends well into the bars. Regular dried fruit is typically chewy. I have not tested this recipe with dried pineapple so I cannot guarantee success. While these bars are healthy, they’re also very calorie dense between the nuts and coconut oil. I wouldn’t recommend more than one a day. But trust me, you’ll be tempted. 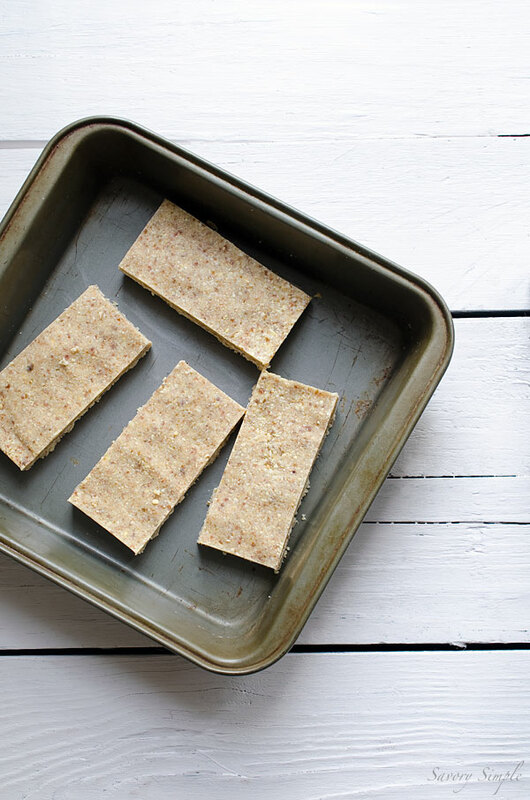 These no-bake pineapple coconut bars are gluten-free, grain-free, dairy-free and paleo! Place a rack on the center shelf and preheat the oven to 350 degrees F.
Add the coconut butter and 1/2 tablespoon coconut oil to the food processor and continue pulsing until the mixture begins to clump. If it seems dry, add another 1/2 - 1 tablespoon of coconut oil. I am glad Shanna got you hooked on this flavor combo because its one of my fav’s and I can’t wait ti make these! Delish! these are so different than what I was expecting and yet I love how they are simple and the flavor combo sounds delicious. sweet and nutty! well now I’m wondering what you were expecting! Love this! Pineapple Coconut anything and I’m sold. 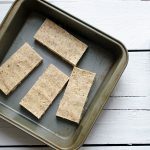 I love this new take on your original bar- I cannot wait to try this recipe! Sounds good. I love healthy bars, will probably try it soon for my daughters. Thank you, I was looking for something like this to ditch the granola bars. This will be perfect! So I haven’t actually got a food processor, and have just trashed my kitchen doing this in a blender instead. Totally worth it! Delicious! Will have to go to Argos and get a processor tomorrow because I *will* be making these for work from now on. Dr. Axe would love this recipe for his cookbook and web site!